With a million projects and responsibilities fighting for our attention, it can be difficult to stay committed to goals. The Internet – with its instant and constant connectivity – exaggerates this condition, but it can also be part of the solution. stickK is a website that allows users to make “commitment contracts” using various feedback techniques, like financial penalties and peer feedback, to help keep you on track. stickK is like a workout buddy (and personal trainer) to help keep you on track, whatever your goals may be. 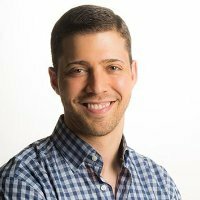 stickK’s Jordan Goldberg took a moment to tell us about the company, how it works, and share some ideas on how to use these tools to get, and stay, out of debt. Can you introduce us to stickK? When was your company founded? Where are you based out of? stickK officially launched to the public in January of 2008. We are based out of New York, NY. The basic premise of stickK is the recognition that people have stated intentions but often lack the willpower to follow through on them. Our philosophy is that a Commitment Contract can oblige people to complete their goals by attaching reinforcement mechanisms to keep folks on their path to success. This reinforcement comes in the form of financial incentives, peer accountability and tools to track progress. Who are stickK’s main clientele, and what are some ways your company meets their specific needs? stickK is publicly available to anyone and everyone who has a personal goal and would like to improve their lives through behavior change. Most of our users are men and women between the ages of 18-65 who want to work on fitness goals, financial goals, career goals, academic goals, personal relationships and anything else! We meet their needs by offering the tools to document progress, get support from friends and family and, perhaps most importantly, attach consequences for failure! One of the services stickK offers is “Commitment Contracts” that show the user and other people what value they place on achieving their goals. Can you tell us a bit about how these contracts work? The key element of stickK’s model is the Commitment Contract – a binding promise by an individual to achieve a personal goal and be held accountable. Whether it’s to lose weight, save money for a rainy day fund, quit smoking, give up the daily premium coffee or commit to grocery shopping with a planned list, any goal can be made into a Commitment Contract. stickK recommends creating both behavior-based, habit-forming goals (e.g., pack a healthy lunch to work, hit the gym, etc. ), and outcome-based goals (e.g., increase savings account balance, weight loss) to maximize engagement and success. 1. Choose a Goal – Make it measurable. 2. Set the Stakes – User can put money on the line to be forfeited to a designated recipient if the user is not successful (e.g., “$30 that I skip the lattes and only drink the free coffee at work this week!”). 3. Get a Referee – Someone to monitor your progress and verify your weekly reports. 4. Invite Supporters – People to receive updates on your progress, cheer you on and keep you motivated! Setting measurable and achievable goals is critical. If the goal is not easily measured, picturing success becomes much more difficult. The more concrete the goal is, the easier it is to stay mindful and work toward that goal. It also needs to be reasonable in terms of difficulty. Being able to “see” a finish line is paramount to motivating people to stay on track. Start with trying to build a net worth of $25,000 before you aim for $250,000. Get to that first finish line, then set a new goal. What is loss aversion? How can it be used to achieve one’s goals? I’ve heard it said that the happiest people are the ones who have learned to value long-terms goals over immediate satisfaction. How can shifting one’s sights from the present to the future help someone to be more satisfied with their lives? Many people have “time inconsistent” preferences. In other words, the long-term self and the short-term self want different things. The long-term self wants to be happy and healthy and financially secure. The short-term self may want to watch TV instead of going to the gym, eat a cheeseburger instead of a salad, and go for a weekend getaway rather than save for an emergency fund. The short-term self wants to give into immediate temptation. Those who can resist the temptation and maintain focus on long-term goals can build long-term happiness. Short-term indulgences are fleeting – long-term happiness is sustainable. That’s not to say that you should not feed the soul from the time to time. The key, of course, is proper moderation. What advice would you have for people who are trying to pay off their loans and get out of debt? What are some reasons for people to pay off debt as quickly as possible? The most important piece of advice I would give is to focus on the small things in life. Getting out of debt requires serious commitment. But it doesn’t have to be daunting. Saving money to pay down debt starts with saving $5 here and $10 there. It adds up over time. Track your expenses. Develop a good understanding of where you spend your money. Then start small – identify little behaviors that you can cut back on. For instance, I mentioned coffee earlier. Commit to drink coffee at home or the coffee provided by your office for free and not frequent a coffee shop. If you get a manicure every week or every other week, get one once a month. Before you go grocery shopping, make a list. This will cut down on impulse purchases and reduce your food bill by only buying what you’ve decided to buy beforehand. Impulse purchases tend to be junk food anyway. Set up your salary for direct deposit into a savings account. Carpool to work if you can to reduce your gas bill. Identify the little things in life that add up over time, and use those savings to pay down your debt. It is important to pay off most forms of debt as quickly as possible – most importantly the debt that has interest rates that are higher than you would expect as a return on the stock market. If your interest rates are 10, 12, 14% or higher, it is important to pay it off as quickly as possible so that you do not fall further behind. If your investments yield an 8% return, but your debt payments are 14%, you could fall further behind. It is also important to pay down debt as quickly as possible because it is often a source of a great deal of stress. Healthy debt, however, is okay. An interest rate on a home that has an affordable mortgage may be 4.5%. There is no need to pay this early if that mortgage loan is being invested at a 6-8% return – you are pocketing the 1.5-3% difference. For more updates from stickK, like them on Facebook, and follow them on Twitter.